Creating a balance between self-care and pushing yourself. Finding the balance between disciplined effort and compassionate self-care. 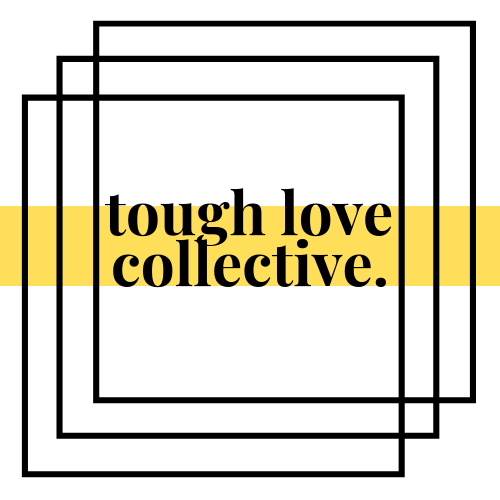 We want to combine the relaxing elements of self-care (gentle yoga, massage, indulgent food) and the times you need to be tough on yourself – think ‘self-parenting’ (moving your body, intense practice, nourishing whole foods). Our mission is to encourage you to do something today that your future self will thank you for. We’re aiming for the creation of a community where we lift each other up; a ‘collective’ that supports each other to reach their goals. I began my journey into health & wellbeing by swapping an ambitious London drinking lifestyle for a variety of fairly unbalanced pursuits: working almost exclusively on my pecs, following incredibly rigid diet plans (down to the last grape), and obsessively training for ultramarathons. Whilst these were (mostly) fun, they probably weren’t ideal for an already extremely rigid body. Finally, Kirstie managed to rope me into yoga via Acro Yoga (impressed by the poses), where I realised I might need to crack on with some flexibility work. In the last few years I’ve trained as a yoga teacher in Goa (discovering there is much, much more to the practice than flexibility), taught classes and retreats internationally, in Nepal, Uganda and Kenya, and decided to teach full time in the UK. I’m looking forward to taking my teaching further this year. I’ll be beginning my 300hr YTT with Jason Crandell in August. I will also be training as a mobility specialist under the Functional Range Conditioning system in June. I’m a big believer in yoga primarily as a meditative practice, and a great complement to other forms of movement and exercise. Expect dynamic but unrushed sequencing, clear but non-dogmatic alignment, and longer held postures for mindful immersion, delivered in a engaging and relaxed manner. My yoga practice began over 15 years ago, as a teenager. During my doctorate training in psychology however was when my yoga practice became a constant: both for my own mental wellbeing as well as wanting to use yoga to help my clients connect to their bodies. I realised that many of us are frequently caught up in stressful, repetitive thoughts, which causes us to be cut off from our bodies and the important messages and emotions it holds. I’m a Chartered Counselling Psychologist, and have worked in the UK’s National Health Service (NHS) since 2010. I’ve worked in a variety of public, private and non-government organisations, with adults and children. I’m particularly interested in working with anxiety, trauma and empowering people to lead confident, authentic lives. I’m passionate about combining mental wellbeing with the physical asana (yoga) practice to create a unique blend of mind/body vinyasa flow style yoga. My yoga teaching focuses on embodiment – making the shift from being in our heads, to experiencing and connecting to what is happening in our bodies in the present moment. Having completed my 200hr YTT in Goa, India in 2017, I will be moving on to my 500hr YTT in July 2019 to study Embodied Flow with Tara Judelle and Dr Scott Lyons. I am also a qualified children’s yoga teacher.